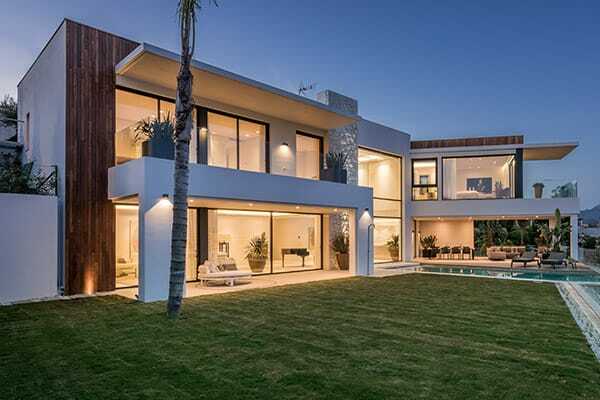 La Alquería is home to all the best aspects of Costa del Sol living: tucked away in a secure environment with surveillance, where peace and privacy reign in the midst of stunning natural surroundings, but with the glamorous and sophisticated attractions of Marbella city centre and Puerto Banús just a few minutes away. Alquería has a local supermarket, international schools, sport facilities and is near the picturesque village of Benahavís, renowned for its gastronomy with highest concentration of quality restaurants. 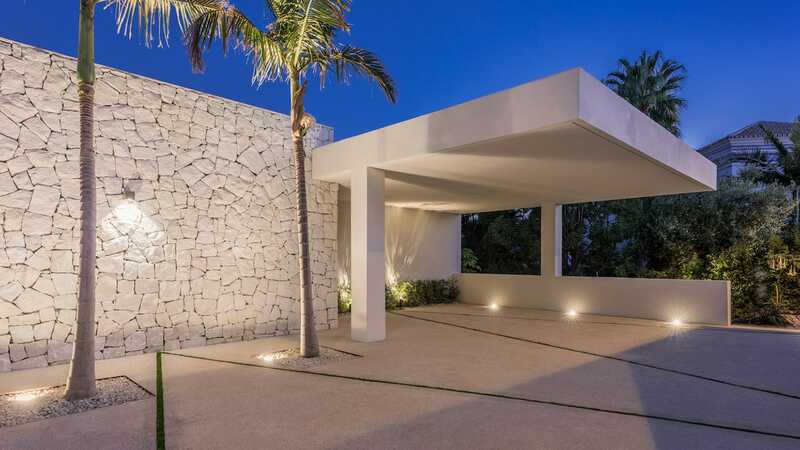 Entering the plot from the top side offering a covered area for two cars and the main entrance of the villa. 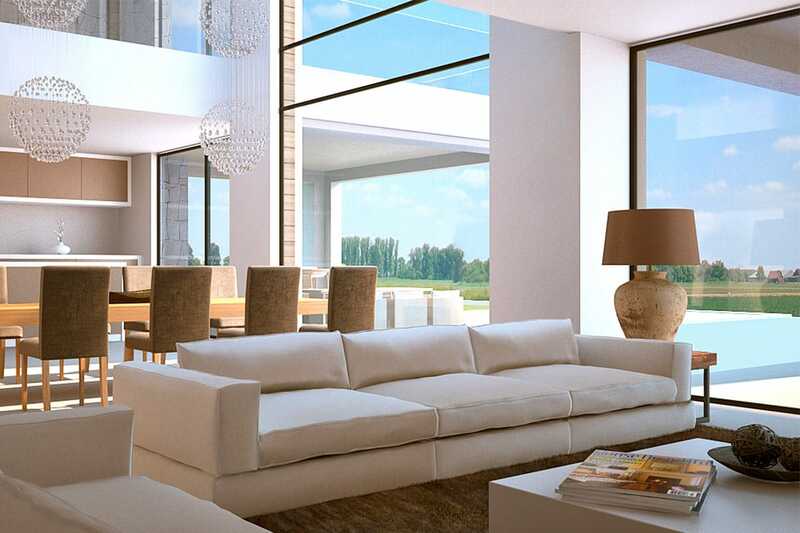 The entrance on the first floor will provide one of the most amazing features of the villa, the breath-taking views through the double high ceiling panoramic windows. 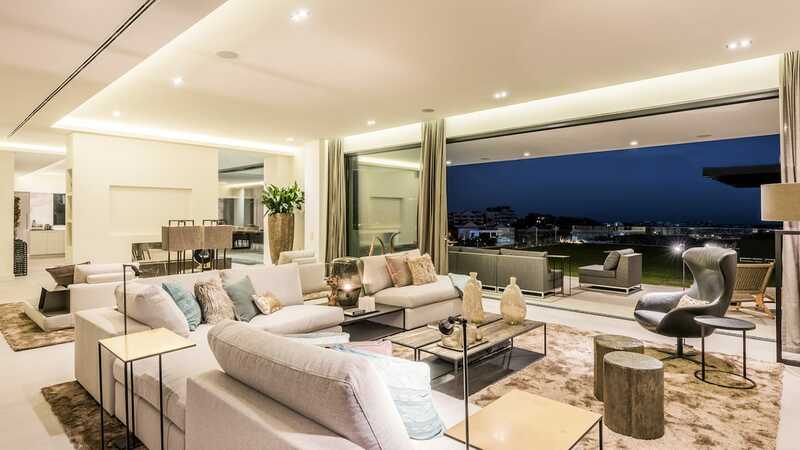 The first floor gives access to the master bedroom and three more bedrooms all with bathrooms en suite, access to the balconies and the spectacular views. The ground floor offers a spacious open plan living and dining area, high ceilings (3 m), a fully equipped island kitchen, cloak room, guest bathroom and wardrobe. A double sided gas fireplace with natural stone finishing separates the living and dining area. 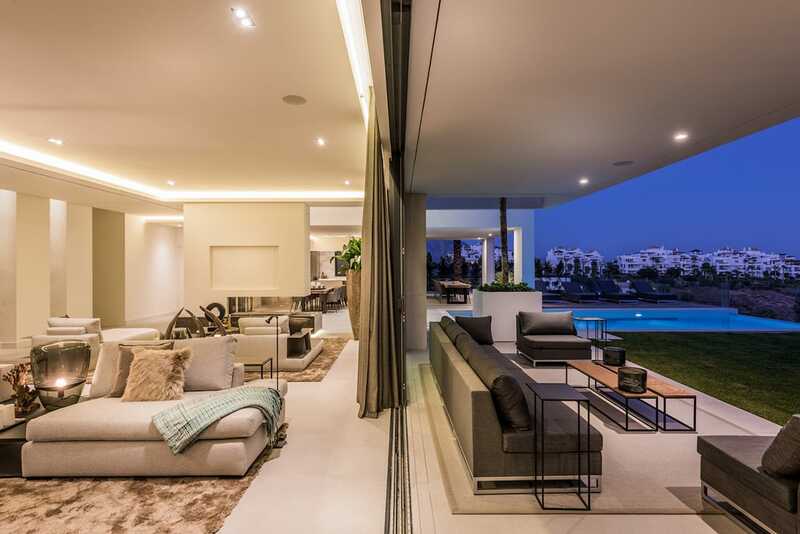 Both areas are fitted with floor-to-ceiling windows and sliding doors giving direct access to the covered terraces, infinity pool, landscaped garden and pergola area, again all with the panoramic views. 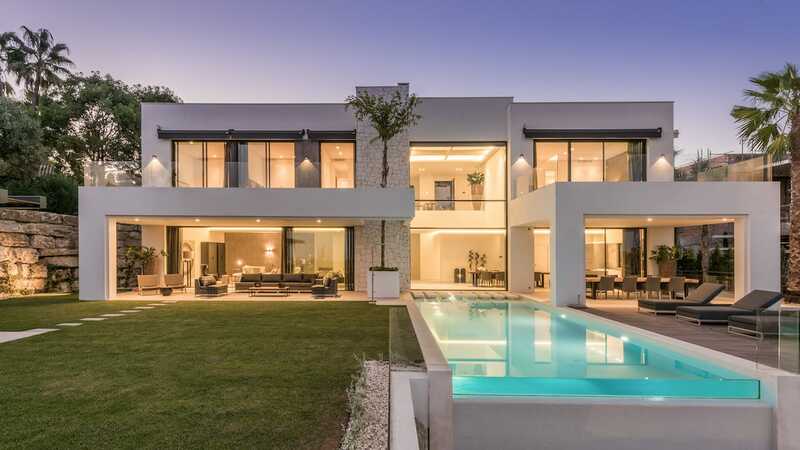 On the lower floor (basement) there is a stunning glass separated wine cellar, guest room with bathroom en suite and a multifunctional room which can be easily converted into a gym, wellness, home cinema or extra bedrooms. There are also some technical rooms with separated access from outside. Large basement of 211 m2 for gym, wellness, home cinema or extra bedrooms. 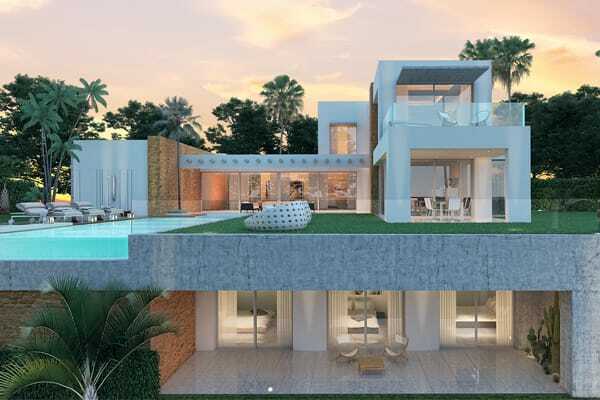 A stunning contemporary designed villa with spectacular panoramic views over the golf course, Mediterranean Sea and mountain scenery in one of the best plots of La Alquería. Air conditioning hot & cold with individual controls in all rooms.